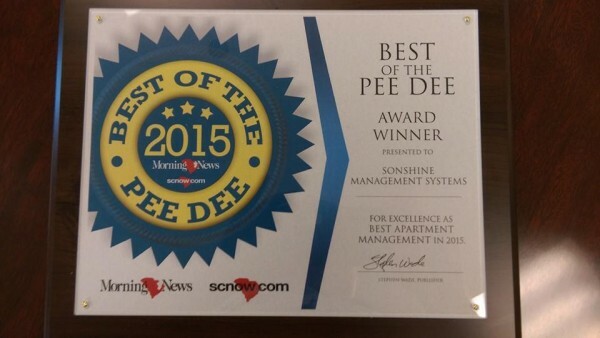 best-of-the-pee-dee-2015-sonshine-management-systems-inc-best-apartment-management - Sonshine Management Systems Inc.
Here’s an image of our 2015 “Best of the Pee Dee” plaque from our friends at the Florence Morning News and scnow.com! Once again, we would like to thank everyone that showed their support by voting for us. We look forward to serving you for the next year!